January 21, 2018 4:33 pm. Speedster Super Too will take on the sprinting heavyweights in the Group 1 Lightning Stakes at Flemington. Trainer Marc Conners took the mare to Melbourne twice in the spring for a win in the 955m-series at Moonee Valley and a second in the Group Two Caulfield Sprint. 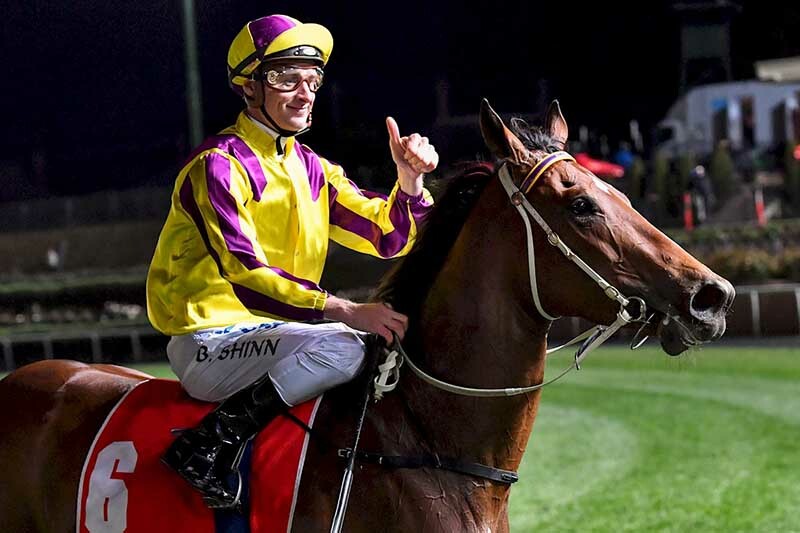 In the speed contest at Moonee Valley on September 29, Super Too held Rock ‘N’ Gold by two lengths with the runner-up the winner of Saturday’s Listed Kensington Stakes at Flemington. Super Too finished second to Snitty Kitty at Caulfield with Faatinah another length third. Faatinah won at Meydan in Dubai last week and is on target to contest the Group One Al Quoz Sprint on World Cup night at the end of March. “We are going have a throw at the stumps and to the Lightning,” Conners said. “We’ll take them all on. She is a fast 1000-metre horse. That’s what she is so we’ll have a go and we’ve booked Stephen Baster to ride. In her customary fashion, Super Too led all the way to win an 800m-trial last week with the most of the attention on runner-up, dual Group One winner She Will Reign. The Lightning Stales over the straight course is also the target for dual Group One winner Redzel who runs in a barrier trial on Monday. There are no big plans for the Conners-trained Maddison Avenue who scored an upset win over 1600m at Randwick on Saturday. “We’ll just look for another benchmark fillies and mares race for her,” Conners said. Maddison Avenue’s win continued the good form of her jockey Jess Taylor who has racked up three wins from seven rides at Randwick this year, the other two on Takewing and Kawaikini for Warwick Farm trainer Jason Coyle.